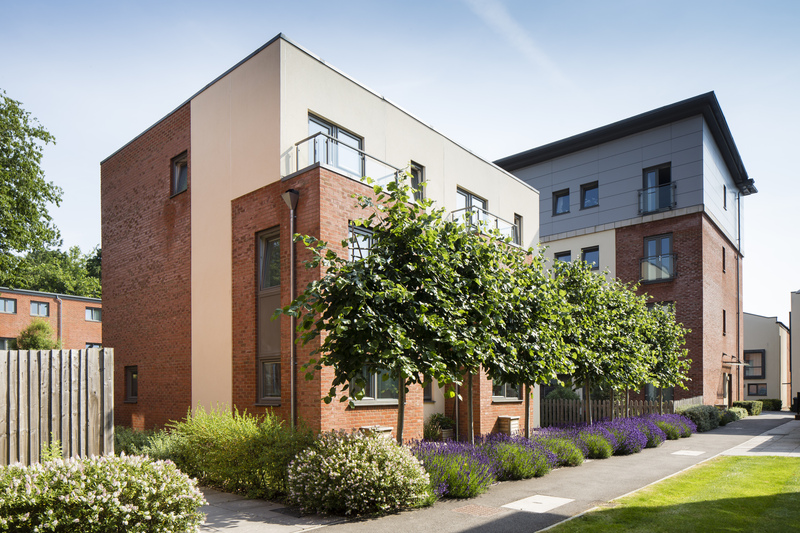 Grange is proud to manage Graylingwell Park, a mixed tenure development set in the grounds of a former hospital in Chichester, West Sussex. It is the largest carbon zero development of its type in the UK. The site covers over eighty acres of grounds, and with so much to cover, we were interested in how the grounds are maintained to such a high standard, and who helps to make the grounds look so impressive. We spoke to Julian early one Monday morning to talk about a typical day in the life of a Graylingwell gardener. What is a typical day for a gardener at Graylingwell Park? "The first thing when we arrive on site would be to go around and litter pick, and blow any fallen leaves onto the grass. Next we would mow the lawns, keeping to a striped pattern, then we would strim the edges, treat the lawns for pests and infestations, fertilise the grass, then collect the cuttings and sweep the paths. We also spray herbicide on the paths to prevent weed growth. Next, we move onto the hedges - pruning and shaping where needed. We then turn our attention to the beds and borders around the site, pruning shrubs according to the season. We tidy the herbaceous plants, dead heading, cutting them back, raking the bark beds and hand weeding the soil beds. Dead plants are removed and replaced, and we stake the younger plants and trees to promote stronger stem growth. It also prevents them from being battered by the weather too much!" How many gardeners attend Graylingwell? "There are five main sites at Graylingwell, and a small team of 6 gardeners cycle through each site, lead by 1 team leader. Residents will usually see 2 or 3 gardeners on one site at any time. We have a rolling programme of when we attend each site, but we do a general walk around of all sites each day to be sure there's nothing that needs to be dealt with urgently." In the original plans, there was an idea for food productive gardens and plants on the sites. There are a few fruiting trees around, could you tell me a bit about caring for them? "There are apple trees in the gardens of the sites which we prune in the winter to preserve fruiting and encourage fruiting spurs while being careful to keep the tree's shape. The residents then enjoy collecting the fruits direct from the tree or when they fall." We noticed the lavender at Graylingwell is looking particularly impressive this summer, how are you caring for them? Are they a good draw for bees? 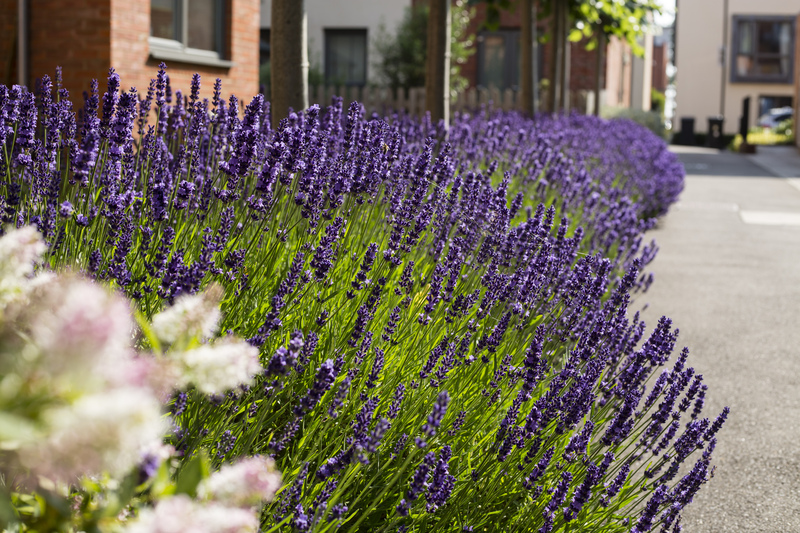 "Whilst the bees are helpful, and are drawn to the lavender, we have to be careful that the lavender and the bees don't get out of control, especially where plants are under residents windows. We prune the lavender now and again in the Autumn; it's important to prevent it from growing too wildly, but to balance that with not reducing the flowers. Doing this will also extend the lifetime of the lavender." We would like to thank Julian and his team of gardeners for their incredibly hard work, and in making Graylingwell Park such a beautiful development.